Can be configured built in, standalone , with conveyor or not. Vacuum Cooling and Hydro Cooling have been used for many years to rapidly cool product in the Food and Catering Industry (cooked food and meals , bakery products, bread) and also in the Fresh Produce and Post Harvest sector ( flowers, vegetables, fruit). The vacuum cooling process works by the rapid evaporation of water from produce under low-pressure situations. During the process energy in the form of heat is required to change water from a liquid to a vapour, this action is the principle of vacuum cooling. Hydro cooling with Alltech Hydro-Vac coolers operate over a wide range of produce that includes Snow peas, Cherries, Sweet corn, processed vegetables and pasta. Hydro cooling with Hydro-Vac are the same as the standard vacuum cooling products with the addition of sprays bars and water reticulation system. Can be configured as batch (bin) or inline with conveyor. 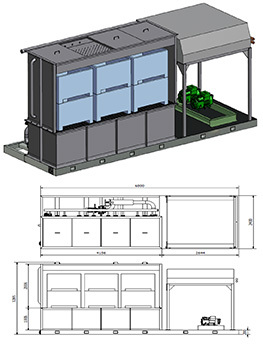 A Hydro Cooler is a system that showers chilled water over the produce. It can either be configured as a batch unit of various sizes or in-line in a processing line. It is not as quick or energy efficient as Vacuum Cooling but is simpler. 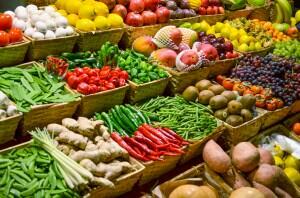 Only products that can tolerate water are suitable, for example cherries , some fruit , carrots. No damage to the skin of sensitive products like grapes. Can be used on wide range of products. Can be retro-fitted into current cool rooms. Forced Air cooling is the blowing of chilled air over produce in a sealed chamber or cool room. Forced Air cooling can be installed in a standard cool room or Quik-Cool has specialist self contained forced air cooling chambers. The amount and temperature of air cooled can be varied to suit the application. It is the slowest and least energy efficient rapid cooling method. However it has wide application over many fresh products. There are no standard unit sizes as all Forced Air Cooling products are engineered specifically for customer requirements. Are you ready to take the next step in hydro cooling?